Pristine townhouse style condo with mountain views. Renovated kitchen in 2017: new countertops, sink, faucet, lighting, painted cabinets & backsplash. New wood-laminate main level flooring, interior walls and trim painted. Comfortable family room with stacked stone fireplace. Custom built-in in hall for storage. 3 generous sized beds w/ private bath. 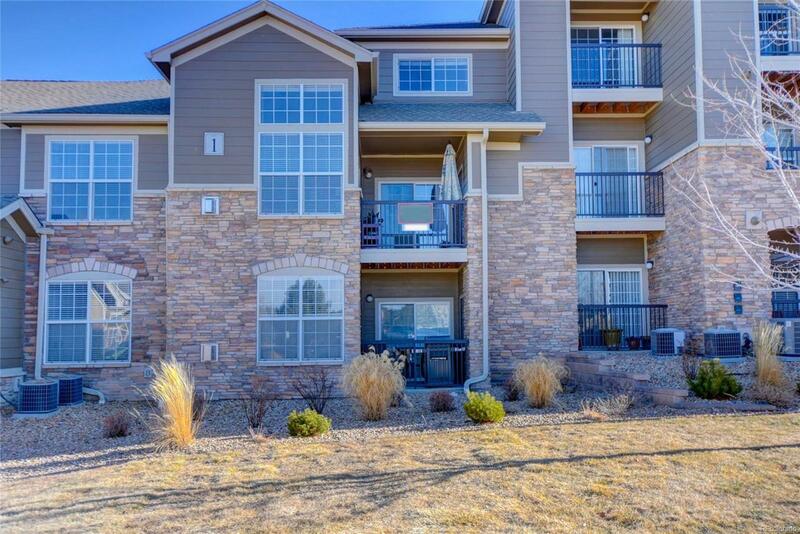 2 west facing balconies to enjoy the Colorado sunsets and views. Quick in and out access, across from community pool, exercise room and mailboxes.